Op 20 november velde het Europees hof voor de Rechten van de Mens het verdict over de arrestatie en de voorhechtenis van Selahattin Demirtas, die op dat moment één van de co-voorzitters was van de HDP. Hieronder kan u het artikel lezen dat verscheen in The Region van 20 november. The European Court of Human Rights (ECHR) delivered the verdict on November 20 concerning the arrest and the pre-trial detention of Selahattin Demirtas, who at the time of the events was one of the co-chairs of the pro-peace Peoples’ Democratic Party (HDP). Relying on right to liberty and security and right to trial within a reasonable time or release pending trial, Demirtas complained to the court that his initial pre-trial detention and its continuation were arbitrary. That is, the duration of his pre-trial detention has been excessive; and that the relevant judicial decisions contained no reasons other than mere citation of the grounds for detention provided for by law and were worded in abstract, repetitive and formulaic terms. The Court (ECHR) held that the Turkish judicial authorities had extended detention of Demirtas on grounds that could not be regarded as “sufficient” to justify its duration. Thus, they decided that Turkey violated Article 5§ 3 of the Convention, right to liberty. Neither the courts that had ruled on the extension of Demirtas’ detention, those that had refused his applications for release, nor the Constitutional Court appeared to have had sufficient regard to the fact that Demirtas was not only a member of parliament but also one of the leaders of the country’s political opposition, whose performance of his parliamentary duties required a high level of protection, according to ECHR. Moreover, Turkish authorities had not demonstrated that there were pressing reasons justifying keeping him in pre-trial detention for such a lengthy period, the verdict said. The Court noted that it had always emphasised that pre-trial detention was a temporary measure and that it should be as short as possible. Deprivation of liberty was such a serious measure that it was only justified where other, less severe measures had been considered and found to be insufficient to safeguard the individual or public interest at stake. Such considerations applied a fortiori in the case of a member of parliament. The Court concluded that although Demirtas had retained his status as a member of parliament throughout his term of office and had been able to receive his salary in that capacity, his inability to take part in the activities of the National Assembly as a result of his pre-trial detention constituted an unjustified interference with the free expression of the opinion of the people and with his right to be elected and to sit in Parliament. The Court noted that several criminal investigations in respect of Demirtas had been ongoing for years, but no significant steps had been taken until the end of the “solution process” to initiate a procedure for the lifting of his parliamentary immunity. leaders of the opposition, and also to the conduct of other HDP members of parliament and elected mayors, as well as to dissenting voices more generally. 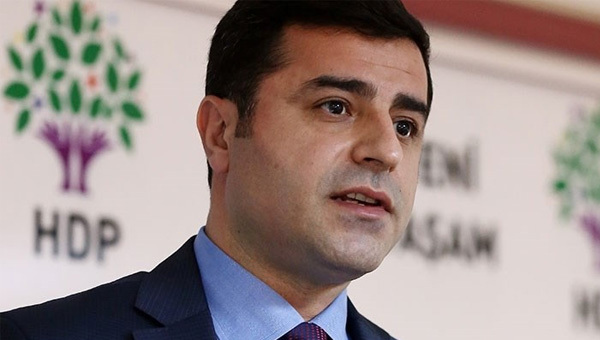 The Court observed that Mr Demirtas did not see himself solely as an individual victim of a violation, but that he claimed to have been kept in pre-trial detention chiefly on account of his position as one of the leaders of the political opposition. The Court thus considered that what was under threat was the democratic system itself, not just Demirtas’ rights and freedoms as an individual. The Court found that it had been established beyond reasonable doubt that the extensions of Demirtas’ detention, especially during two crucial campaigns, namely the referendum and the presidential election, had pursued the predominant ulterior purpose of stifling pluralism and limiting freedom of political debate, which was at the very core of the concept of a democratic society. How Turkey deals with the verdict of ECHR is completely open. At the moment the government seems at least to give the impression of normalising its tense relationship with the EU. At the same time, the Turkish government has in the past repeatedly ignored judgments of the ECHR that thwarted its agenda. If Erdogan’s opponent were released, this could send a positive signal to other imprisoned opposition members in Turkey. But the fact that the Turkish president suddenly demonstrated political conciliation and mildness would then be a small miracle.